The International Press Photo Contest named after Andrei Stenin, a Rossiya Segodnya photojournalist who died in the line of duty in southeastern Ukraine, began accepting submissions for its fifth year — the start date always falls on Stenin’s birthday, December 22. 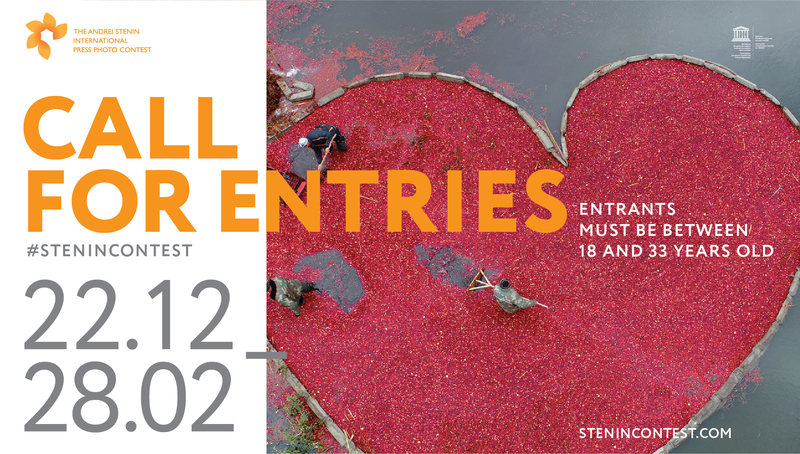 Entries from young photographers aged 18 to 33 will be accepted on the contest’s website, stenincontest.com, until February 28, 2019. The Stenin Contest is the only competition in Russia that discovers new names in international photojournalism and develops standards of quality for documentary photography. The contest is aimed at supporting young photojournalists and helping them on the world photojournalism stage. In 2019, five years since the contest was established, the contenders will compete in five categories: the usual four —Top News, Sport, My Planet, and Portrait. A Hero of Our Time — plus a new one, Inspiration. Entries in this new category must be single photographs depicting either the cause or expression of inspiration, such as nature, ethnic or genre photos, and portraits of children and adults shot using various techniques and styles. The contenders can submit one single image and one series entry in every category. “The Andrei Stenin Contest is expanding its presence on the global stage of photojournalism. Our finalists say that young photographers who want to improve their skills see the contest as a must. There are few countries from which we have not received any interesting entries yet. We invite young photojournalists from around the world to take part in the 2019 contest and wish them all the best,” contest curator Oksana Oleinik, head of the Visual Projects Service of the Rossiya Segodnya United Photo Information Directorate, said. In 2018, the Andrei Stenin International Press Photo Contestwas supported by major Russian and international media outlets, news agencies and the photography community. Partners in several categories included the Shanghai United Media Group (SUMG), the Al Mayadeen TV pan-Arabic news network and the International Committee of the Red Cross, one of the world’s largest humanitarian organizations. In 2018, the contest jury included representatives from the world’s leading news agencies: AFP (France), Anadolu Ajansi (Turkey), Notimex (Mexico), as well as world-class photographers and editors. The jury was chaired by Ahmet Sel, who is Visual News Editor in Chief for Anadolu Agency (Turkey).